My own quest for electronic health records (EHRs) had a rocky start. My first vendor had a reasonable product but went bankrupt after a series of bad business decisions. Having already experienced the advantages of EHR over paper-charting, I believed what the various sales reps told me when I started my search again: I'd be saving time with documentation, I'd be saving money used for transcriptions and filing, and my patients would benefit from safer prescribing. I finally chose a product that was touted as one of the best on the market. But after about a month of putting in extra-long office hours trying to make my notes fit my software, I had to accept that my EHR wasn't saving me anything. Had I bought the wrong one – or was there no right one for neurologists? And if there was a product for me, how was I going to find it? Last year the AAN formed a task force to address these difficulties. It was my job, as Chair of the EHR Work Group, along with that of its members, to help other neurologists identify products that fit our specialty needs. We needed, as a specialty, to define both our basic and unique requirements, and then open a dialogue with vendors who had designed – or could create – programs around those requirements. Once we had that list, we aimed to find a way to help doctors compare and contrast products before purchasing them. To guide us through this challenging process, we hired a consultant, Mark Anderson of the AC Group (www.acgroup.com), a healthcare technology advisory and research firm. Next year, with Mr. Anderson's help, we believe we'll have accomplished our mission: A hand-picked group of vendors will compete head-to-head at the 2006 AAN Annual Meeting in San Diego in a challenge to showcase their products and help neurologists differentiate and choose among them. In helping the EHR Work Group line up vendors for the 2006 Challenge, Mr. Anderson has uncovered reasons why there has been “a big disconnect” in the whole system of fitting our specialists with EHR software. For starters, he believes, vendors are trying to sell technology to doctors who are not tech-savvy. “They simply don't understand how doctors think or work,” he said. “They present techno-mumbo-jumbo and they all say that their product is the best.” In turn, Mr. Anderson pointed out, vendors complain that doctors do not want to spend the time in training and are unwilling to spend money for technology. Yet even those vendors who would seem attuned to the needs of neurologists have wound up creating products better suited to the bell-curve of the market: primary-care physicians. Cadwell Laboratories, a manufacturer of neurophysiology products, thought they were responding to neurologists' requests when they expanded their report generator into QuickMed, a full charting system. But after developing the EHR, they were surprised to learn that its users were mostly primary-care physicians. Cadwell Laboratories President Carlton M. Cadwell, DDS, concedes that the software is probably best suited to the doctor who scratches out a few notes, writes a prescription, and sends his patient out the door. “In neurology encounters there are more detailed questions and there is a greater variability in documentation than simple templates or point-and-click entries typically allow for,” he said. This isn't to say neurologists shouldn't expect a product that fits their workflow, creates comprehensive notes, incorporates neurology templates, and reminds them to meet intended E&M levels. Vendors are increasingly sensitive to what belongs in their software because they're hiring neurologists to advise them. Fellowship-trained neurologist Michael Stearns, MD, is not only acutely aware of the diagnostic importance of capturing subtle features in the history of present illness – as Director of Physician Services at Greenway Medical Technologies, a company that makes an EHR product – he can communicate to the designing team just how, for example, the temporal course of a clinical symptom may allow the physician to distinguish a seizure from a vascular event or migraine episode. Colorado Springs Neurological Associates, which hired Mr. Anderson to guide its five neurologists and four neurosurgeons through the EHR selection process, now claims savings of over $8,000 a month in transcription costs and from $1,000 to $1,500 per month on postage fees (since records are being faxed directly to referring physicians). Still, office manager Tracie Broome admits that it was a lengthy process – 18 months of discussion, review, and implementation, including several weeks for Mr. Anderson to study the practice and its specific needs. The Colorado Springs group eventually bought eClinicalWorks, which offered a practice management system, imaging system, and EHR. After nearly a year in use, the system has even gained the support of the practice's most skeptical and technophobic members. My own search demanded I test-drive quite a few products before finding one that worked best for my office-based practice. AmazingCharts fit my documentation habits – giving me a choice of data entry including the ability to use voice recognition, type free text, select from drug and ICD-9 databases, and incorporate templates. It also allows me to generate robust consultative reports, and save on transcription costs. And best of all: It lets me finish on time. When “In Practice” previously addressed the general issue of electronic records in May 2002 and in May 2003, both excessive costs and the need for “Open Source” systems were cited as impediments to universal acceptance and adoption of EHR by neurologists in private practice. Earlier this year, Medicare announced that it would distribute, free to physicians, the Open Source Vista-Office EHR, www.vista-office.org, in a simplified form suited to the needs of small office practices. They estimated that the cost to install and set up Vista for a five-physician practice would be approximately 15 percent of that of commercial EHR software. The first (evaluation) version was released on September 19; it remains to be seen whether Vista will save the day for the specialized needs of small neurology practices. There is no one-size-fits-all solution for EHR. The right choice has to factor in practice type and demographics, personal preferences, and workflow. The AAN is offering several courses on electronic health records in 2006: Orly Avitzur, MD, will be speaking on the subject at the AAN Winter Conference Electronic Office program in Las Vegas, NV, on January 14, and during the full-day course, “The Practice of Neurology: Issues in Coding and Reimbursement” at the AAN Annual Meeting on April 1, in San Diego. Michael Lobatz, MD, will direct a luncheon seminar on the subject at the AAN Annual Meeting on April 3. 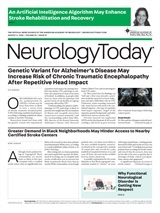 ✓ Many neurologists say that existing electronic health records do not meet their needs, but efforts are under way by the AAN to assess the products best suited for neurology practices.